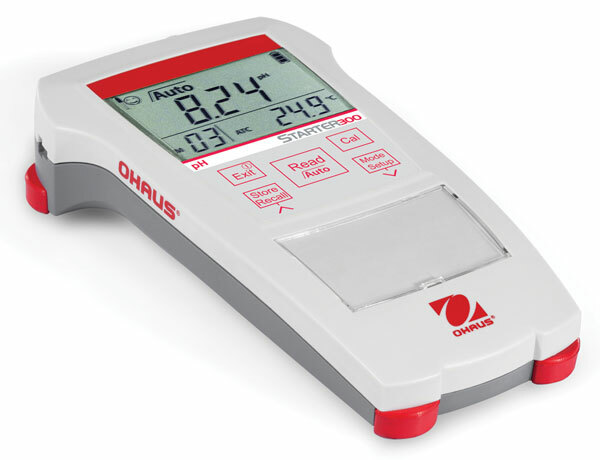 Portable pH Meter with Large LCD Display - Gilson Co.
MA-260 Portable pH Meter is a versatile and rugged Ohaus meter, reliable and easy to use in the lab or field. It is equipped with an IP54-rated protective ABS plastic casing that shields the meter from water and dust damage. The compact and ergonomic design is adaptable for a wide array of environments. Automatic and manual temperature compensation ensures accurate readings while a data library stores up to 30 measurements for future reference. It is equipped with a large, easy to read LCD display. 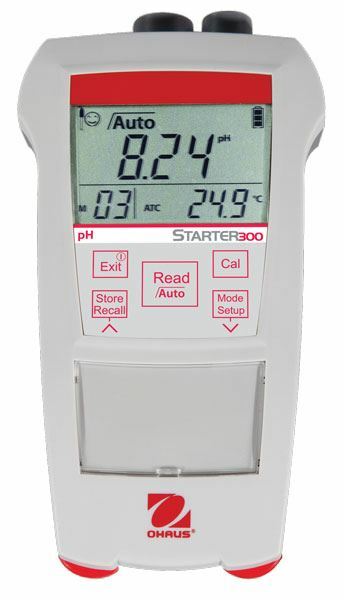 This unit uses 4.01, 7.00 or 10.01 pH Buffer Solution during calibration of the buffer groups. Buffer solution is available separately. The auto buffer recognition stores calibration data and helps avoid errors during the calibration process. A maintenance-free, 3-in-1 non-refillable plastic gel pH electrode with integrated temperature probe is included. Measurement range of the meter as equipped with supplied probe is 0 to 13 pH. Accuracy is ±0.01 pH and ±1 mV. The pH measurement range is 0 to 14. Temperature measurement is 0° to 100°C (32° to 212°F) x 0.1°. The meter also reads -1999 to +1999 mV. 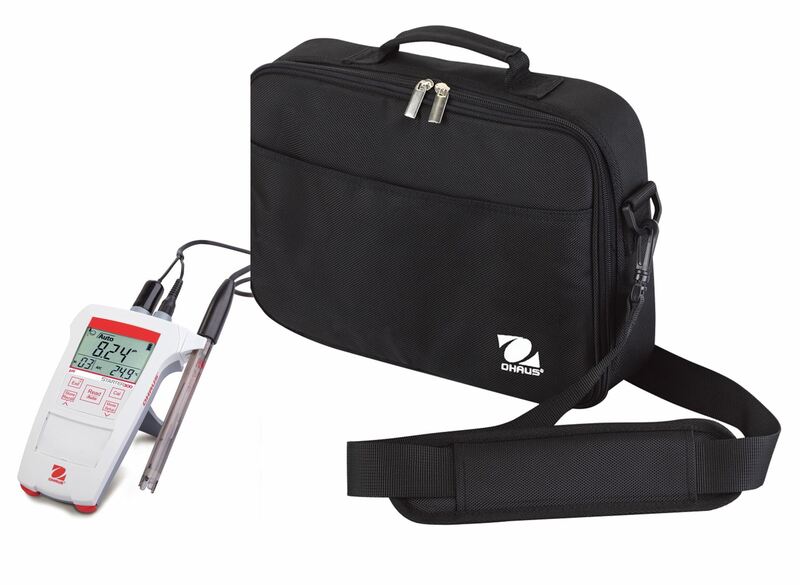 MA-260 includes the pH electrode, a meter stand, wrist strap, pH buffer packets (4.01, 7.00, and 10.01pH) and carrying bag. Working environment is 41° to 104°F (5° to 40°C), 80%RH, non-condensing. Operates approximately 500 hours on four included AAA batteries.